Does your business have a mobile marketing plan to take advantage of it? Mobile earned a 19% increase in US consumer media consumption share in just 5 years while TV lost 8% of the share. Without question, the absolute single largest and fastest growing paradigm shift in the history of mankind as been that of mobile communications, specifically with the invention of the smartphone. The adoption of this incredible, powerful, mobile technology has literally changed the way the world communicates and, in many ways, the way it operates. No other single technology has ever, literally, enveloped the globe in such a short span of time. Today, that growth shows no sign of slowing and is advancing in exponential fashion. As would be expected, this paradigm shift sent a ripple effect throughout the remainder of the paradigms in society, including the way that the business world communicates with their prospects and their existing customers – not unlike the way that very shift took place with the advent of the internet itself and began to immediately change the communication infrastructure away from ‘traditional’ pipeline of advertising and marketing, which had been almost totally controlled by media structures. However, this mobile communications shift far surpassed the prior at adoption levels and rates never before seen. And it continues, even now. At TraffiqueJam Mobile, we have embraced today’s most advanced mobile marketing technologies to help companies and businesses of all sizes take advantage of all they have to offer in communicating their message, whether very broad or very targeted, to their prospective and current customers. Search Engine Optimization is critically important marketing discipline that implements creative and technical strategies to improve a website’s “findability” on search engines. It is NOT a “one and done” activity. 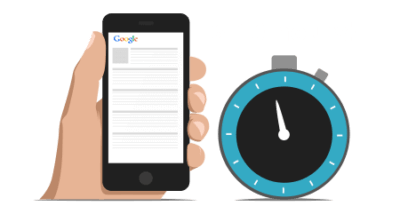 The surge in mobile internet usage spurred Google to make major changes in mobile search algorithms. Businesses today must have a mobile-optimized website to be found on mobile devices. Advertising is a very critical piece of an effective, overall online marketing strategy to drive traffic. We can implement a variety of disciplines including native ads, real time bidding, retargeting and more. Our location technologies (NFC, Beacons, Wifi, GPS/Geofencing) allow you to directly communicate with customers via their smart devices for a cutting edge user experience with your brick and mortar location. Texting is obviously an extremely popular form of communication, so it is a great medium for businesses to engage potential customers and retain existing ones. We have both the platform and the strategies for SMS. A 2-dimensional barcode that can store web addresses and can be placed anywhere, including but not limited to: signs, posters, flyers, coupons, menus, banners & business cards. Our QR codes are dynamic!